Well, here we are, the first day of March – the first day of spring – gripped by Siberian temperatures. Are you, like us, a little tired of hearing the phrase ‘The Beast From The East’? Then warm yourself up with the thought that at least good things are on the way this month – we have Easter and, even better, the clocks change. Yep, those long balmy summer days are on their way – we promise! So, what news have we got for you to get your teeth into? A lot has happened over the last few weeks, so we’ve been spoiled for choice, but here’s our top pics: Retail casualties; To sell or not to sell, that is the question; Tesco equal pay claim hotting up; Gender pay gaps a bit of a shocker; Gig economy coming to a head. Retail casualties: Although we all probably knew it was coming, it was still sad that yesterday Toys R Us and Maplin went into administration. Both have been struggling for some time, and in the run up to Christmas, Toys R Us kept going by the skin of its teeth. But it’s now over, and the administrators have been called into both companies with job losses estimated at 5500 between them. 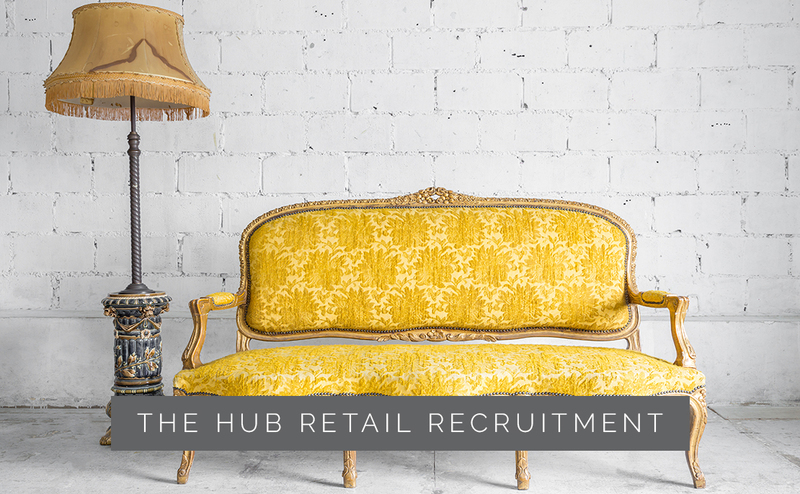 Although the outlook is better for others, there’s a raft of retailers shedding jobs in order to cut costs and stay competitive – Tesco and Morrisons, 1700 and 1500 job losses respectively; M&S, Topshop, Debenhams, House of Fraser all losing jobs. For most of these it’s about losing head office and management jobs, although for some, such as New Look, it’s also store closures – New Look is closing as many as 60 stores. And even those who have really strong sales, such as Zara, are seeing their share prices being affected, apparently due in part to the fluctuating euro. We’ve reported several times last year on how well the company was doing, and yes its sales and profits continue to climb, but the 7% slide in its shares is because the brokers don’t think it can continue. We think Zara has cornered the market for stylish women’s fashion so we’re not convinced – we’ll keep an eye on who’s right! To sell or not to sell: No doubt you’ve heard about the rumour vehemently denied by Sir Philip Green that he wants to sell his share in Arcadia. And then lo and behold an email was leaked that suggested he’d met with bankers two years ago to start talking about selling. Is that timing relevant? It was around the same time as the BHS debacle, when the company went bust, and it transpired that the assets had been pretty much stripped. Add to that the pension hole at BHS which Sir Philip has had to pay part of, and the pension gap that’s emerged at Arcadia – and perhaps it isn’t surprising he’s thinking of selling up. Arcadia isn’t doing very well, and perhaps with retail looking set to be even more ‘challenging’ in the coming year, Sir Philip could see the writing on the wall. The question still remains, is he selling, or isn’t he? All will be revealed in the fullness of time. And talking about the pension scandal at BHS, Dominic Chappell, who bought BHS from Sir Philip for £1, a year before it went into administration, has just been fined £87,000 for failing to co-operate with the Pensions Regulator over the BHS pension hole. The judge said Mr Chappell showed ‘no remorse’ – shame on Mr Chappell. Tesco equal pay claim hotting up: It’s estimated that the equal pay claim by shop floor staff at Tesco could cost the company £4billion. We reported on the case last year, whereby 1000 women workers at Tesco claim they do work of equal value to those in the distribution centres. Shop floor workers are predominantly women, and distribution centre workers predominantly men. The former earn £8 per hour, the latter £11 per hour. If the case is upheld, back pay would be considerable, especially when former workers as well as current female worker, would be entitled to it. And Tesco isn’t the only company with claims against it – Sainsbury’s and Asda are also being taken to Tribunals by staff represented by Leigh-Day, the legal firm that seems to be specialising in this type of potential discrimination. This is certainly a story to keep an eye on. Gender pay gaps a bit of a shocker: And talking of how supermarkets are allegedly treating women differently to men, the gender pay gap reporting is showing some surprising results. Tesco’s mean gender pay gap has come in at 12%; Marks & Spencer, 12.3%; Aldi 11.5; and John Lewis, really quite a shocking 14%. There’s a lot of news about gender pay gap reporting across our economy at the moment. The BBC debacle about the difference in pay between men and women in senior roles really hit the headlines when Jane Standley, its China Editor, resigned over the difference in pay between her and male peers. The BBC has had PwC consultants in to review its pay, and says it no discrimination has been found. Some male broadcasters have agreed to have their pay cut in the light of the salary discrepancies, but the BBC seems to be saying that it will be adjusting pay upwards to iron out any anomalies. The BBC issue is about equal pay – whereas the gender pay gap reporting is different, although it does shine a light that might expose equal pay problems. It’s quite likely that we’ll be getting surprises over the next month as the 1st April deadline for employers with 250+ employees to publish its gender pay gap stats looms large. An interesting one is the Lawn Tennis Association – Wimbledon in other words! Some years ago, female tennis players fought a long battle to get equal pay for their winnings – men got more prize money than women back then. Well, the LTA’s mean gender pay gap has come out at 31%! So it might have equalised its prize money for tennis players, but this probably raises questions about how it’s doing with paying its own staff. In a lot of the reporting there’s a common theme emerging – employers are saying the reason is because there are more women in the lower paid jobs than in the higher paid jobs. And that they’re looking at how they can support women in rising up the ranks. How well this is done will of course be seen in next year’s figures. We’ll be watching! Gig economy coming to a head: Last year there was much in the news about the gig economy, and whether people were employees or self employed. We reported on this quite widely, quoting the big cases such as Uber, Deliveroo, and Pimlico Plumbers. Well, the latter case has now gone to the highest court in the land – the Supreme Court. The issue at the heart of this case is whether someone is employed or is a worker. It’s a bit complicated, but the first means you have full employment rights, and the second that you have the right to certain benefits, such as annual leave. The ‘gig’ economy consists of about 15% of workers in the UK – so it’s a significant number, and growing. In our next blog, we’ll let you know what the Supreme Court’s decision was. Have a read of this article – it gives the ins and outs of the case very succinctly. And finally: If you read our blog regularly, you’ll know we’re a dog friendly business – very dog friendly! Jack our office dog is our constant companion and keeps us calm and happy. So this story caught our eye. Morag won the top office dog award – who knew there was such a thing?! – for Northern Monk Brewery Company. The competition is run by Workforce, so if you’ve got an office dog, or dogs, you might want to enter next year. We’ll be looking into it. So that’s it for this month. A lot to digest – we hope you found something of interest. And be assured, we’ll do the same next time. Until then, keep warm and keep your spirits up – Spring really is on the way.